Have some reef love to share? Want to talk about recently published research, the importance of certain organisms or share your experience in the field? Then come write for us! We welcome all levels of writing experiences and fields of marine science interest. Here we briefly describe how you can contribute to the blog and become part of the team. All enquiries should be sent to isrs.students@gmail.com. We are looking for senior undergraduates, graduates, postdocs, or reef-loving enthusiasts who work in the field to join our team as a permanent writer and editor. 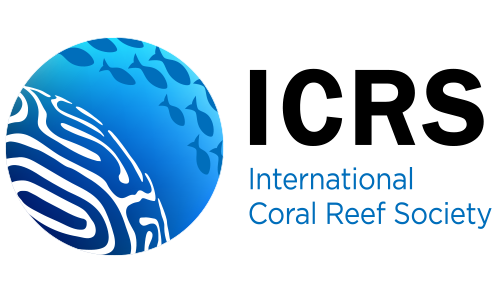 Your commitment would be to submit/edit a post on a monthly or bi-monthly schedule based on current coral reef literature (journal articles should not be more than 6 months old), your own research or any related topics of discussion you are interested in. Posts should be written for a general audience and be between 800-1,000 words. Reefbites’ mission is to engage students and the non-scientific community to join the conversation of why reefs matter. Our writing guidelines can be found here and our editing guidelines here. To apply please review our guidelines and send us an 800-1,000 word post. Can’t commit to a regular schedule but still want to write for us? We also welcome applications from Guest Writers. More into visual story telling? Great! We are interested in a variety of science communication tools. We welcome pictures featuring students, professionals in the field, and educators doing reef-related research or outreach activities. You can submit your pictures along with a 200 word description and affiliation, and they will be featured in our Gallery section as well as shared in the ISRS Student Twitter, Facebook, and Instagram. We welcome videos showing students, professionals, and research equipment at work as well as outreach activities. You can submit your short videos along with a 200 word description and affiliation, and they will be featured in our Media section as well as shared in the ISRS Student Twitter, Facebook, and Instagram. If you are an enthusiastic marine scientist of any kind – molecular, microbial, ecological or oceanographical – and would like to share your passion and research with a like-minded community then join in on our Feature Fridays. Every two weeks we feature a marine science student and their research across our blog, twitter and instagram. If you’d like to be featured just email us at isrs.students@gmail.com and we will send you further information.